Build it is a voluntary trading group of independent retailers specialising in building materials and related hardware. We are a dynamic organisation boasting a market-leading growth in the hardware and building materials industry. Currently we have a membership of 370 stores in Southern Africa, employ over 10 000 people and as a division of the SPAR Group Limited, our stores are serviced by six regional offices, a central office and a distribution centre. Build it stores are currently based in urban and rural areas throughout Southern Africa and we are growing fast in Namibia, Lesotho, Swaziland and Mozambique. Build it gives every member the advantage of tremendous buying power, a comprehensive distribution and delivery network, a strong national and regional advertising program and much more, without sacrificing your independence. 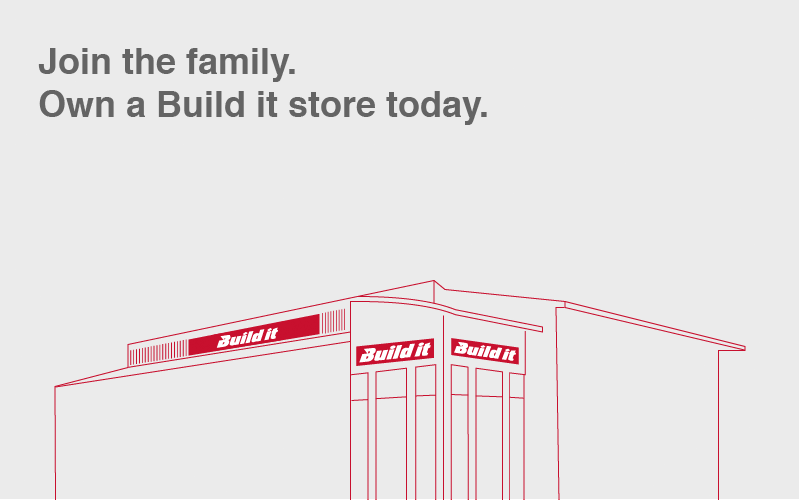 If you are interested in becoming a Build it store owner, please contact Business Development Mangagers at your nearest Build it Distribution Centre.